Next up was a single malt our host selected for its Amontillado Spanish Sherry finish. Again a duty free purchase, part of Glenmorangie’s moderately priced Legends range that has been around since early 2016. While it was a freshly opened bottle, poured and served immediately, it had oddly muted aromas – we really had to work at teasing out what was there. It was tough to pinpoint this one. It somehow reminded of an American single malt from Westland – not the ones we earlier tried and loved, but instead a more recent version that disappointed. Was it even Scottish? If so, perhaps Highland, but there wasn’t anything to distinguish it as coming from a particular distillery or cask approach. I personally could not believe this was the same whisky I’d sampled with the Whisky Ladies when it was first released. I read out the Tayne tasting notes from that session to my companions – how could our experience differ so much? Where was nose bursting with character with marvellous sherry Christmasy notes, the yummy coffee, chocolate, orange complexity?? Naturally setting and mood, even tasting order makes a huge difference. But to miss nearly all of the elements that made The Tayne the favourite of the evening for our Whisky Ladies and the opposite for our Original group? As the bottle was recently purchased, it was unlikely (but not impossible) that storage conditions had an impact. Could it be that standards have slipped? If so, then it is truly terribly disappointing. If not, what can explain such a radically different experience? PS – If curious what this could set you back, it can typically be found for around $85 in duty free. 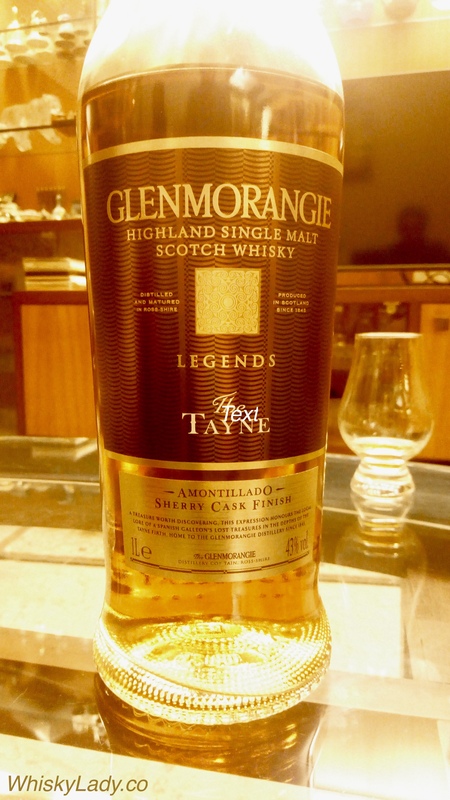 This entry was posted in Highland, Scotland, Sherry and tagged Glenmorangie, Glenmorangie The Tayne, The Tayne by Carissa Hickling. Bookmark the permalink.